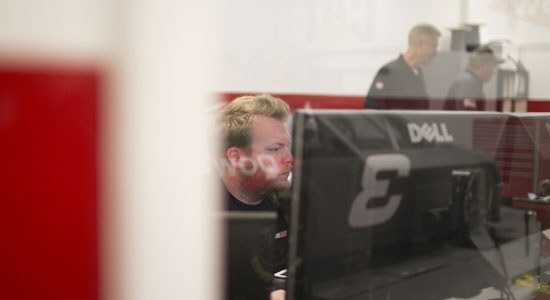 We recently met up with the Richard Childress Racing team and its head of technology, Dr. Eric Warren, for a behind the scenes look at the storied NASCAR team’s technology arsenal. What we found at the 60 acre campus in Welcome, North Carolina is a rich tradition of racing that continues to reinvent itself with technology. When winning comes down to milliseconds and car tolerances that are measured in thousandths of an inch, it’s essential that the team doesn’t leave any performance on the table. 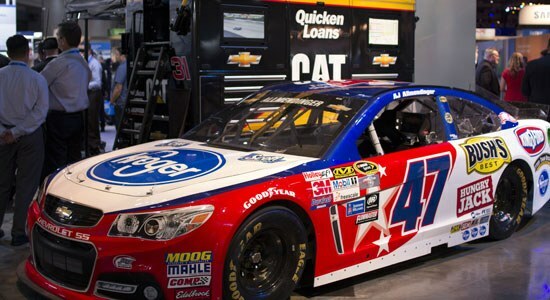 The team at Richard Childress Racing has several exciting technology projects in play at the leading edge of IoT and big data analytics. For example, the pit crew has incorporated sensors into its pit guns to measure the speed, accuracy, torque and positioning of the tire change process. This sensing data is aggregated by the Dell Edge Gateway 5000 Series against video feeds to determine the optimal approach to this critical and dangerous part of racing. The team has also implemented a system to measure and track the response of its cars to road conditions at all of the NASCAR tracks. The sensing data forms “track fingerprints” that register dips, angles, imperfections and general overall track conditions. From this information cars are placed on a platform called a 7 post shaker rig that plays back track conditions to simulate a race. Other sensors on the car register the reaction of the car and help the team pinpoint racing strategies. The centerpiece of the RCR’s data projects is its state of the art command center powered with everything from Dell servers and networking to Precision workstations and Latitude systems. This NASA like facility feeds real time data from the race track to a massive bank of Dell monitors that reports back tire pressure, temperature readings, driver data, car noise and response and even the drivers shifting performance. Additionally, engine and cockpit audio and headset communication is sent over the center’s feed to give a rich view into what is happening on the track. After the race is a detailed analysis is done of what took place on the track. Soon this information will be communicated over a watch-like device in real time to help the team focus on other aspects of the race as analytics run in the background waiting for the moment the data reveals a need for action. At this year’s Dell World the team joined us to share some of the innovative ways they are using Dell technology across their business. RCR uses Dell end-to-end from our servers, ruggedized tablets, switches, desktops, notebooks, software and Statistca data analytics. They use our management tools to administer their networks and their engineering team models parts and wind resistance on our workstations. We may not be in the pit but we are definitely part of the team.